The star cluster Hodge 301 is an old cluster. Many of its stars have already exploded as supernovae. 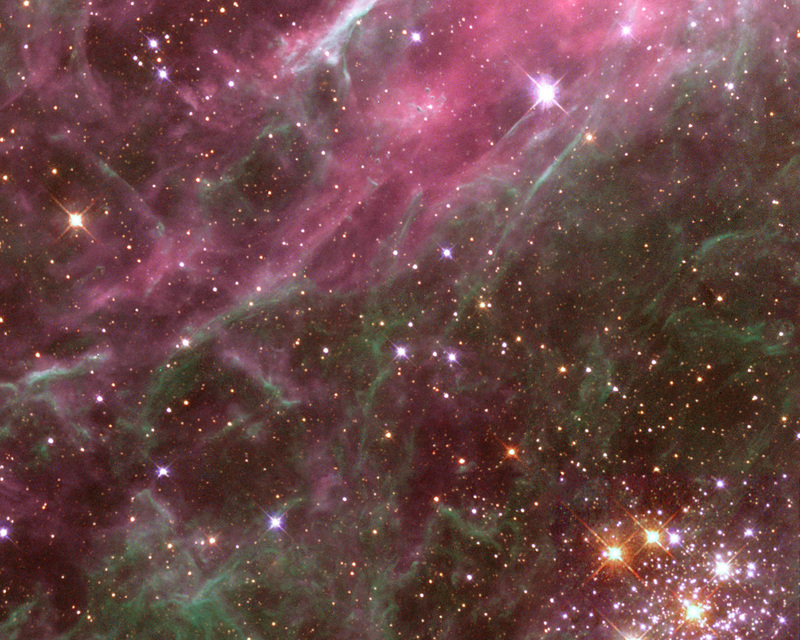 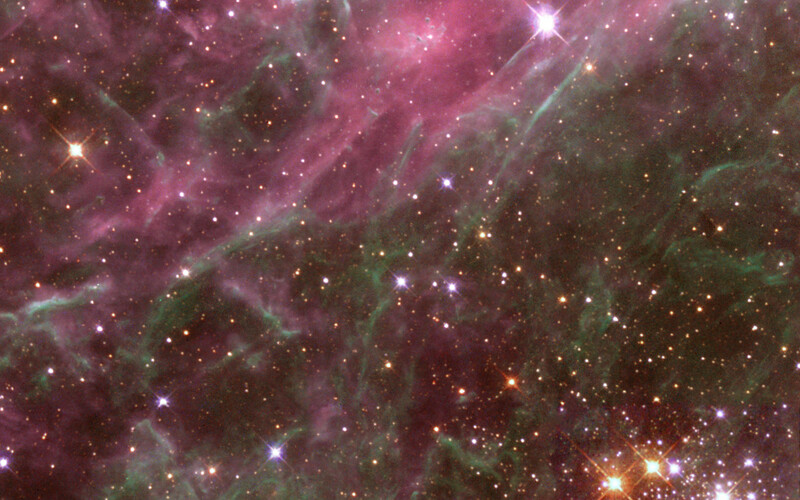 The filaments in the upper left corner have been compressed by the explosions of these stars. 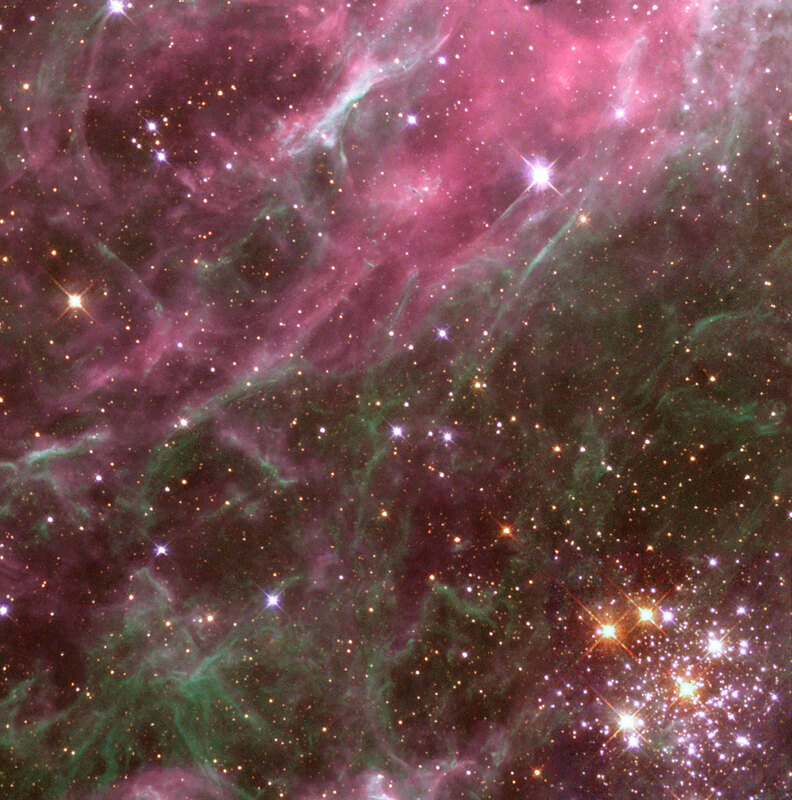 Elsewhere in the picture news stars are being born. 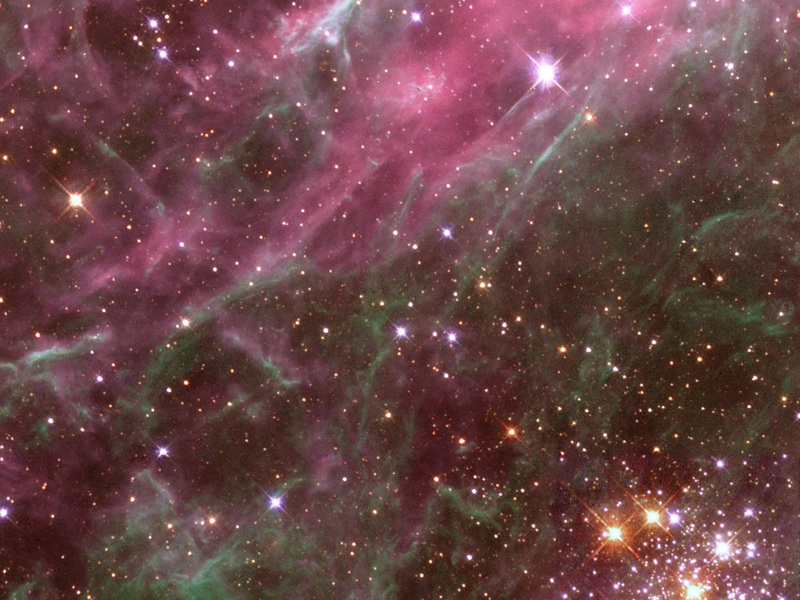 Position (Dec): -69° 4' 56.27"